BYSS – Reports of a sneak attack by the Thustran Fleet are coming in from an undisclosed system in Imperial Space. King Mayhor Malgohnus of Thustra reportedly personally leads the attackers upon the honor death of his heir, Admiral General Norok Toroth for cowardice. 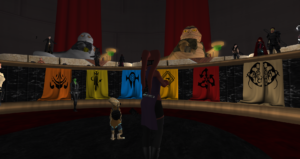 Recently the King’s mental health has been called into question by members of the royal family, including Dr. Jesma Pearl, former Jedi and niece of the King. Having warned the Sith Emperor of the King’s intentions, the Sith 3rd Fleet was able to intercept the Sephi Fleet and led by Lady Nefari and Darths Kalaratri and Senex, as well as Darth Siyala and Lord Jhin of the Triumvirate, the 3rd Fleet emerged from behind a moon and engaged the King’s Capital Ship. 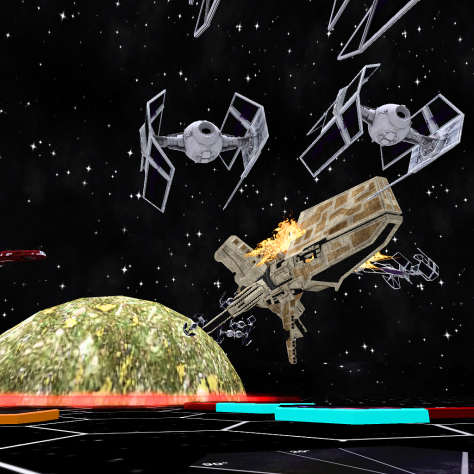 Taking light damage, the combined Sith firepower quickly vented the flagship along with escape pods. Lady Nefari personally led a boarding party to retr ieve the wounded King and returned him to Byss where his execution was quickly decided by Dr Pearl on behalf of her father, the current heir to the throne. 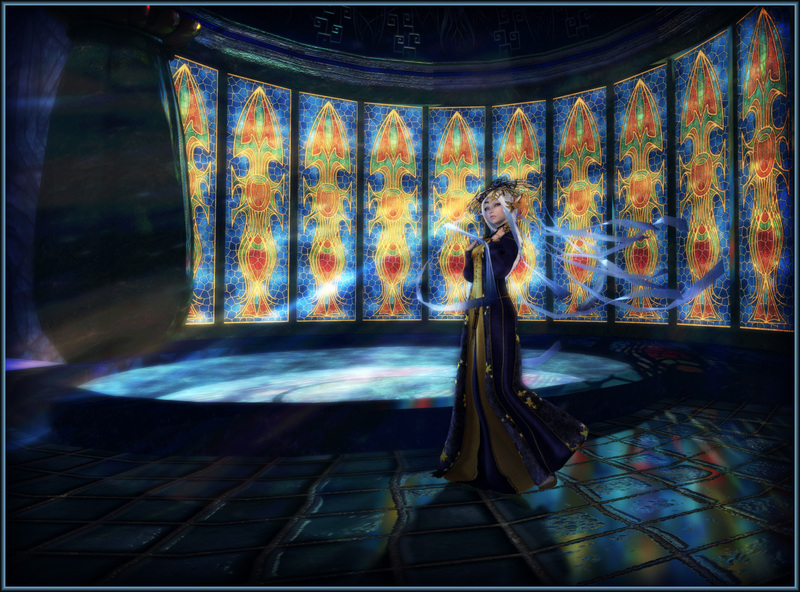 Named as Liason to her father by Emperor Destius, the Doctor committed to carrying the Emperor’s offer to her father. On that declaration, the meeting was ended. 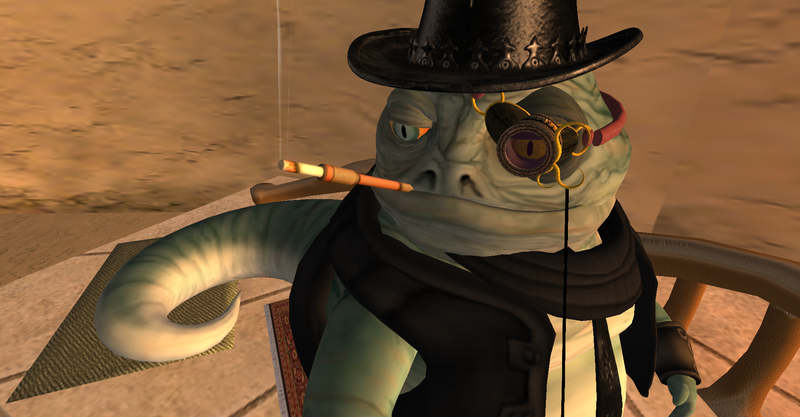 Under the binary suns of Tatooine Rolga Bareesh meet with Sunee Besadii and a Hutt delegate from nearby Mos Eisley to talk about the invasion by Darth Malen on Nar Shaddaa and discuss how to get back the mining asteroid and free Tompunka Bareesh from the evil grip of the Sith. 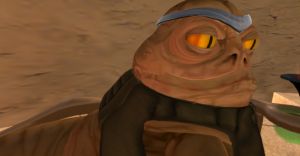 “…the time has come to strike back at this Darth Malen and her brotherhood of sith, we will launch a massive attack on her forces and take back the Asteroid station…” declared Bareesh Hutt clan leader Rolga to the assembled group. 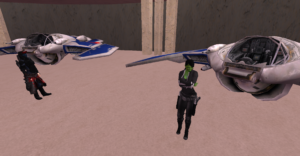 While they talked back and forth between each other and members of the Sithis group who obviously are working with the hutt Clans to help with their problems as well as Captain Mari Quih who seems to be heading up the action in space. 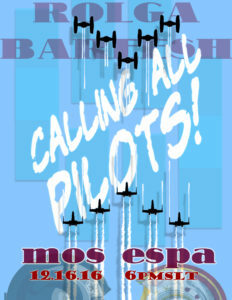 And then, as if on some sort of que.. bombs can be heard dropping nearby, and getting closer, then air raid sirens began to grow in volume like the panic in the crowd, as some Hutts fled Captian Quih called up her forces and met the invading Sith in the skies above Mos Espa where a glorious battle was fought and the TIE bombers were routed and escaped. Minor damage was done to the city thanks to poor aiming of the TIE pilots, with only a couple auto defense turrets even damaged. The attack seemed to be well planned to disrupt the gathering and did a good job at that as people fled for their lives to avoid falling bombs. 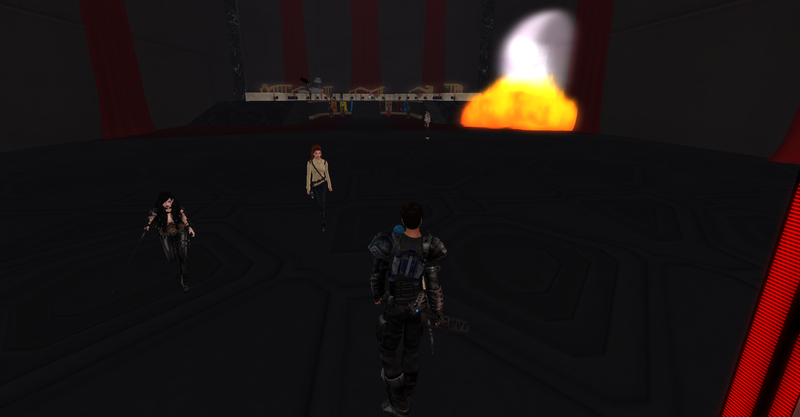 When Darth Malen’s reign of terror end, and perhaps a better question is who can stop it? 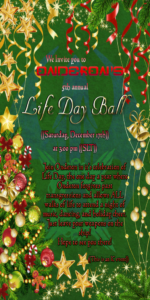 The Bareesh clan once more calls a special meeting this friday at 6pm slt. 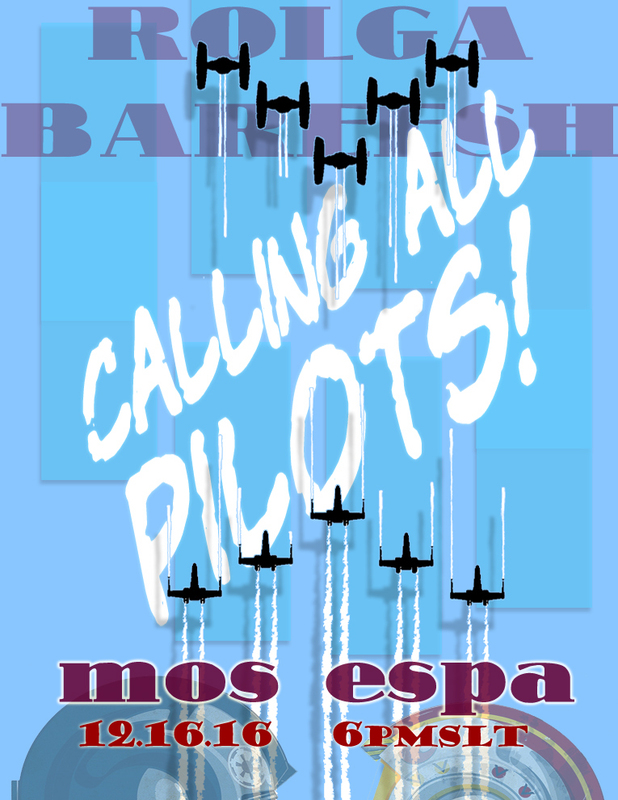 As the invasion continues, the Bareesh decides to hold a meeting on Mos Espa in the slim hopes that the invading Sith army doesn’t read the news and show up. 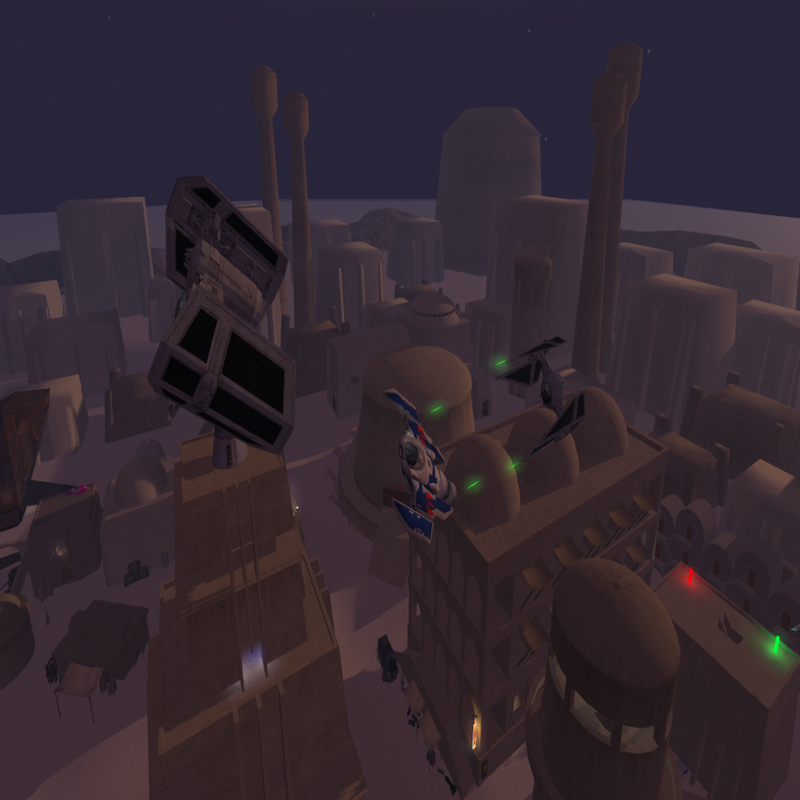 Last week during Hutt Night the droid army decided to attack Nar Shaddaa with disastrous results for the Hutt Clans and their followers, as the Smuggler Moon fell to Sith occupation. 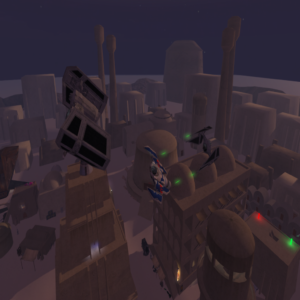 We at GNW can only hope that the Sith see this article too late to take action on Mos Espa, but we will be wearing body armor just in case. 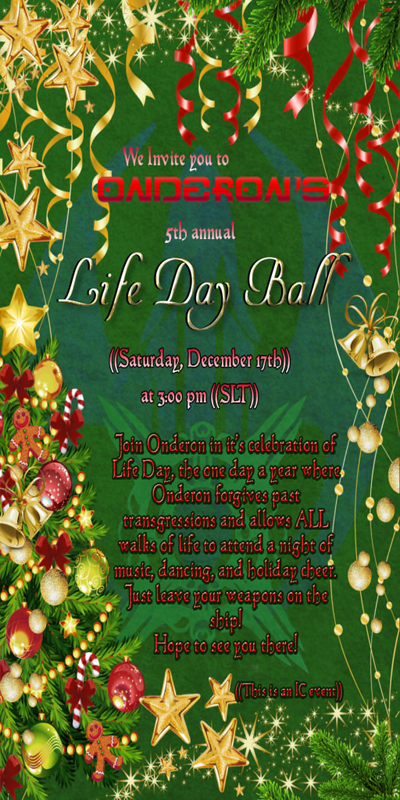 Onderon celebrates it’s 5th annual Life Day Ball. Everyone is invited from all factions: Sith, Jedi, Mandalorians, Hutts, Space Pirates and everyone else. Once more Rolga Bareesh called together a meeting of the Hutts and anyone wishing to do business with them. The first order of business for Bareesh clan was an updating of what has occurred so far with the seemingly hostilities of an unknown Sith cult moving closer to Nar Shaddaa, holding Tompunka Bareesh captive or perhaps dead on an asteroid floating out in Hutt space. 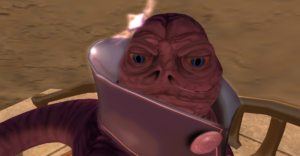 And then… the invasion started.. explosions ripped the Hutt chamber while battle droids poured in and filled the streets of Nar Shaddaa. As the Hutts and their ilk barely escaped the chaos in a Hutt Hauler, forces rose up off the street to push back on the invading battle droid battalions. Citizens as well as the Hutt private forces and Nar officials could be seen fighting the droids well into the night. 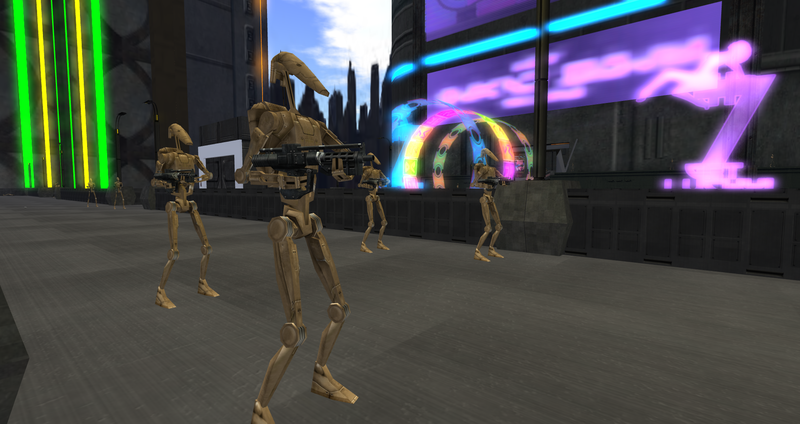 The battle however was unsuccessful as Sith controlled battle droids now seem to be in control of Nar Shaddaa. Stay tuned as more news develops.